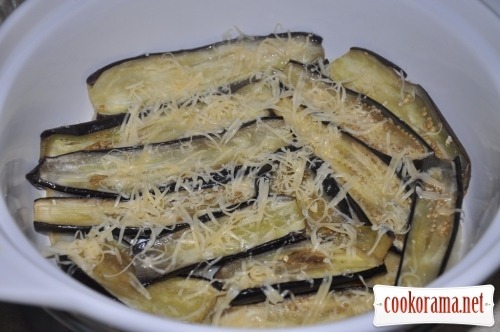 Cut eggplants and zucchini along not less than 1 сm thick. 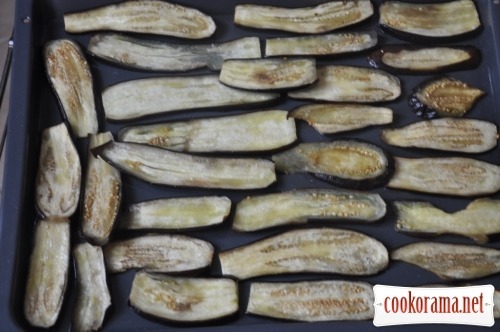 Salt eggplants and let them stay for 10-15 min, to release drain juice, drain it, dry eggplants with towel, smear each piece with a brush with olive oil and lay on a baking sheet with zucchini. Put in the oven and bake till golden brown. 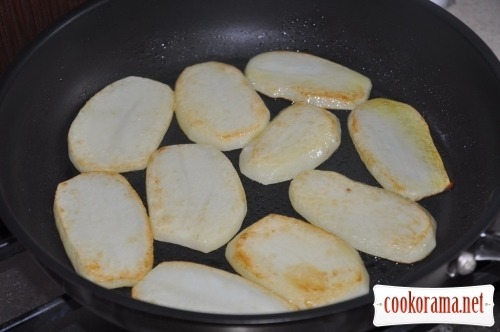 Cut potatoes along and fry in pan till golden brown. Spread on paper towel, to remove excess of oil. 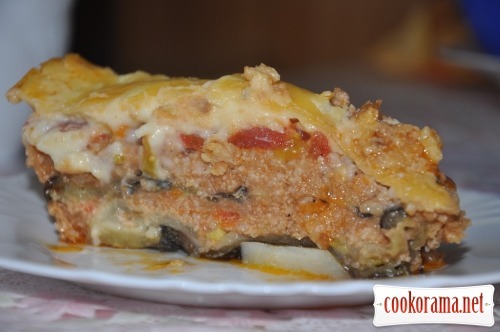 To a big baking form at first spread potatoes, add salt and pepper, then zucchini and eggplants. 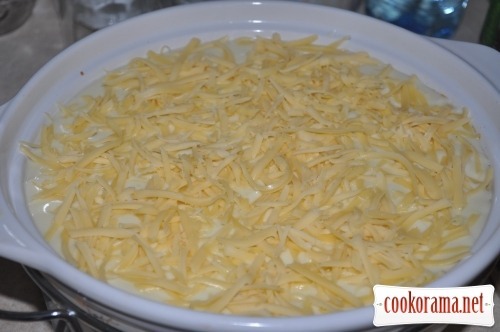 Sprinkle some cheese between layers of vegetables. 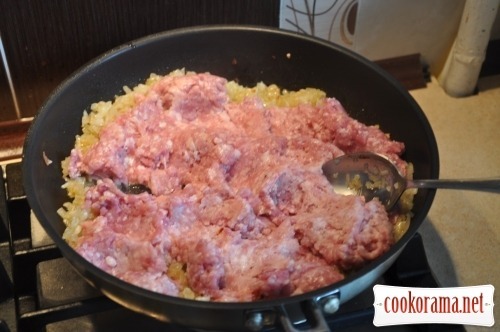 Chop onion and fry in oil till transparency, then add mince, mashing with fork. 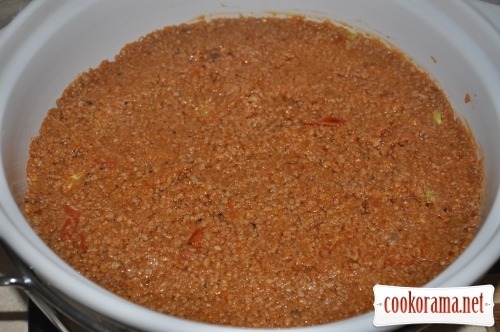 When meat juices almost evaporate from pan, add tomato juice and pasta, wine, salt, pepper and stew, at the end add bread crumbs, to absorb excess fluid and the sauce not to be liquid. I like that then bring the sauce to a homogeneous state using a blender. If the form is deep, spread another layer of eggplants and zucchini, then mince again. 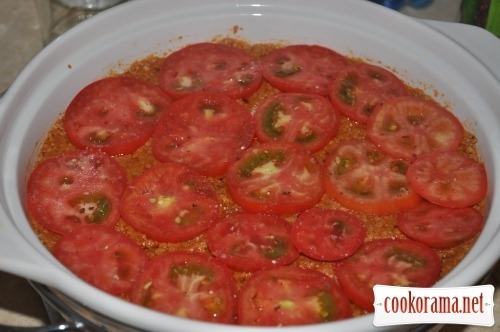 Top the mince with tomato slices, add salt and pepper. 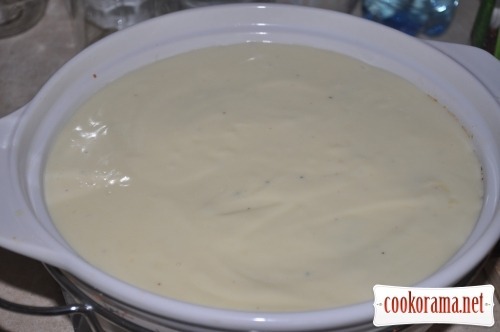 Add flour and spice in cold milk, mix well, to dilute flour, add butter and put on heat, stirring. Bring to boil (but do not boil) and put aside. At the end mix 1 egg in. 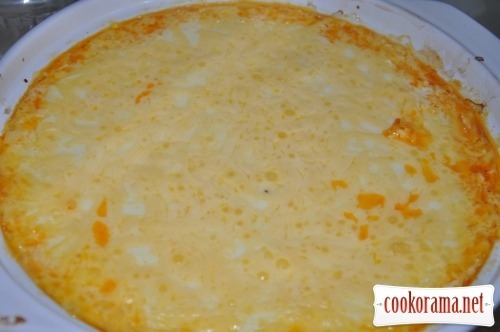 Pour our moussaka with béchamel (over the tomatoes), sprinkle with frated cheese and put in heated oven at 200 C for 30 min. Ready! Tastes great with dry red wine! Класно!!! І фото гарно все демонструють. Зрештою це не так важливо. Головне, що смачно. Мусака — це традиційна страва з баклажанів на Балканах і Близькому Сході. В різних країнах її готують по-різному. Я подала варіант грецької мусаки. Виходить дійсно дуже смачно! Смачна у Вас мусака! По-ιншому трохи приготовлена, але нι трιшки не гιрша вιд оригιналу. До речι, в Грецii мусаку з фаршу яловичини готують.